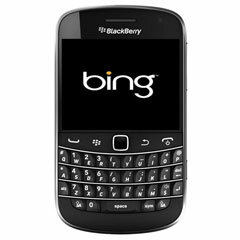 Steve Ballmer, CEO of Microsoft, announced yesterday at the BlackBerry World 2011 event that Bing will be the default search and map app on BlackBerry smart phones. The first I heard of this news was via a tweet from @gartenberg who said, "Bing is now default search and map app for BlackBerry. Integrated into BB experience at OS level." Then a blog covered it in more detail explaining what is meant at the "OS level." The first devices with the embedded service - this isn't just an option, the search will apparently be integrated at an OS level - are expected to ship for this holiday season. I am not sure if that would make it harder to remove the default search or map provider from Bing to Yahoo, Google or someone else. But Ballmer did add that Microsoft will "invest uniquely in the BlackBerry platform." Greg Sterling has some additional analysis at Search Engine Land.